TOMRA and Take 3 present Bondi’s Biggest Beach Clean in conjunction with the Bondi Ocean Lovers Festival. 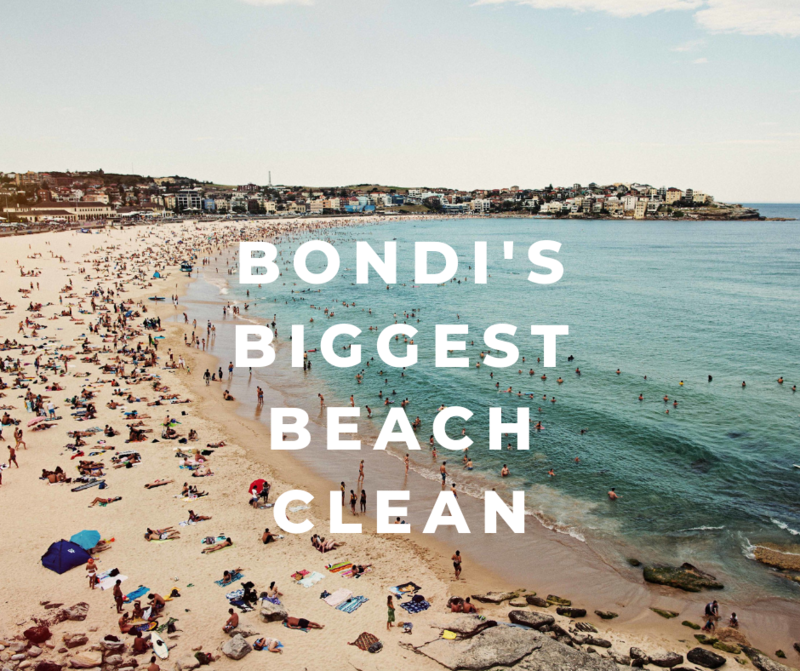 JOIN US as we rally the community to clean up Bondi Beach for this history-making event. Sponsored by TOMRA, Take 3 will lead the clean up to combine education with participation to make a difference. TOMRA Ambassador Laura Wells and Take 3 Ambassador and Iron Woman champion Lizzie Wellborn are just a few special guests on the day. Meet us on the beach forecourt of North Bondi SLSC at 12pm on Saturday 13th April to join the one-hour clean up. You will be given bags and a designated collection zone. Participating in Bondi’s Biggest Beach Clean will teach you about the harmful impacts of rubbish on the environment and leave you feeling good about your role in protecting our precious oceans from plastic pollution. Following the clean up, the team from TOMRA and Take 3 will sort through the collected rubbish to separate recyclable beverage containers to be processed through TOMRA’s Reverse Vending Machine located behind the Bondi Pavilion. North Bondi SLSC will host a BBQ fundraiser for Beach Clean participants and celebrate the positive impacts we’ve created as a community on Bondi Beach. If you can’t make it to Bondi’s Biggest Beach Clean, don’t stress. The Bondi Ocean Lovers Festival has an array of events from Thursday 11th April – Sunday 14th April. Must-do events include the Blue Party or the Guinness Book of World Records Attempt for the highest number of swim caps recorded on a beach! Join in with the sunrise yoga then catch Take 3 at the Eco Markets in Bondi Pavilion Courtyard. Bring your friends, family or just yourself and join us in reducing plastic pollution and connecting to the planet today.